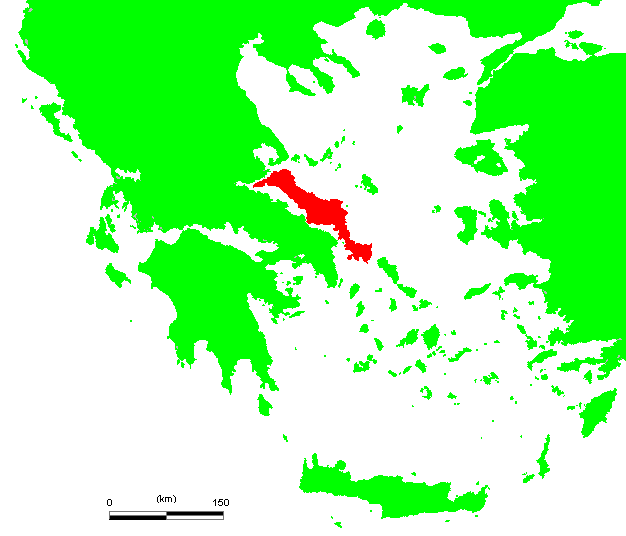 Euboea is the second-largest Greek island in area and population, after Crete. Like most of the Greek islands, Euboea was originally known under other names in Antiquity, such as Macris (Μάκρις) and Doliche (Δολίχη) from its elongated shape, or Ellopia, Aonia and Abantis from the tribes inhabiting it. In the Middle Ages, the island was often referred to by Byzantine authors by the name of its capital, Chalcis (Χαλκίς) or Euripos (Εὔριπος, the name of the strait that separates the island from the Greek mainland), although the ancient name Euboea remained in use by classicizing authors until the 15th century.